Joe is well-versed in many aspects of computer engineering, management, product design, and aphasia -- an unusual area of expertise for many businessmen, but, Joe's expertise is based on his own 12-year experience living with the language disorder. It was 2003. Joe was working hard in his backyard at his home in Marlboro, NJ when he fell ill. He was taken to the hospital where the doctors told him he'd suffered a stroke. With limited communication and mobility, Joe began a new life as a stroke survivor -- a title he never thought he'd hold. Following a year of little-to-no speech, he turned to a speech-language pathologist (SLP) to help him practice and improve his speaking abilities. Five years into his recovery, Joe's SLP conducted a device trial for a Lingraphica speech-generating device (SGD). "The Lingraphica," as dubbed by Joe, was a hit, and he was able to communicate his wants and needs with his family and doctors for the first time since his stroke. Joe's passion for the Lingraphica device was so strong that it led him to the office of the company's CEO. 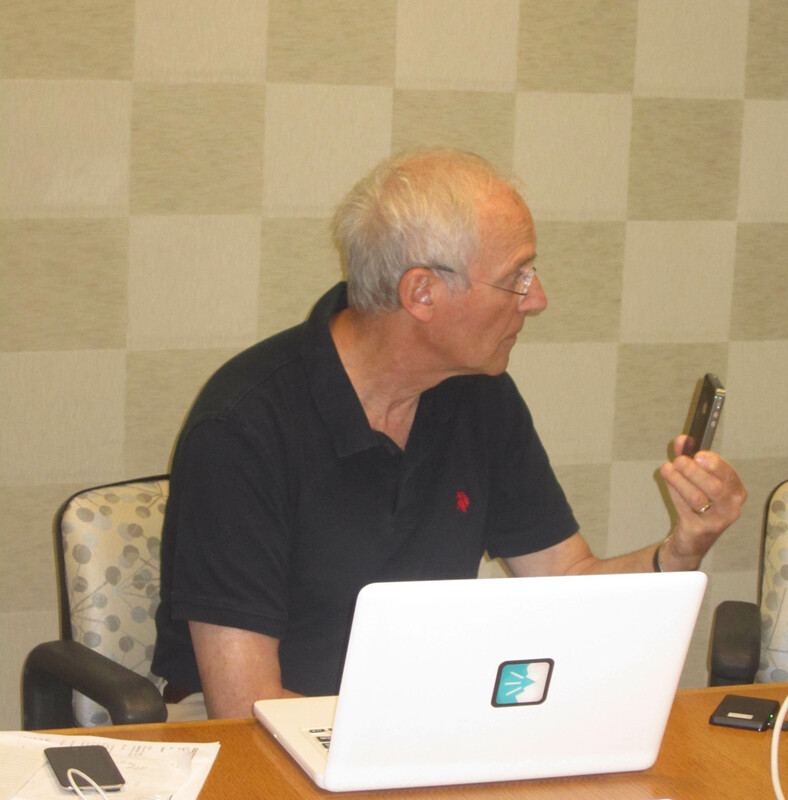 In need of additional customer support and more device features, Joe began joining bi-monthly meetings with the CEO and two other device users with aphasia. These meetings turned into a dedicated group called, "The Lingraphica Aphasia Users Group." 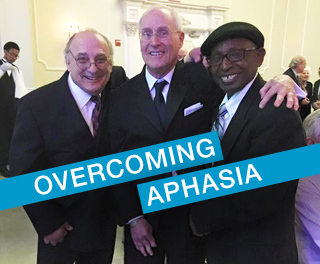 As a founding member of the Lingraphica Aphasia Users Group, Joe helped influence the company’s product offerings. To make aggressive advances in his speech, Joe enrolled in an intensive speech therapy program in Boston where he stayed for eight weeks. Upon his return, Joe’s speech was much clearer and his language skills significantly stronger. At the same time, Joe turned to Columbia University for their clinical services. He began working with a speech therapist on melodic intonation therapy -- a type of therapy that combines music and speech therapy. Joe also became more active in other aphasia groups in New Jersey, New York, and Pennsylvania. Almost 10 years after his stroke, Joe's only daughter announced her engagement. Immediately, Joe knew he had to start practicing his "father of the bride" toast. Joe worked with his speech therapist at Columbia, his friends at the Lingraphica Aphasia Users Group, and his family to prepare the perfect words, the proper pacing, and sentence structure for his toast. For one year, Joe attended Lingraphica's Aphasia Users Group ready to share a new part of his toast. Month after month, Joe shared his progress with the entire group, always reminding people to keep it a surprise for his daughter. Watch the video below to see Joe practice his speech. Upon the day of the wedding, Joe stood before his friends and family and toasted his daughter and new son-in-law with the perfect speech. See his toast in the video below. Today, Joe remains a committed member of the Lingraphica Aphasia Users Group and an advocate for aphasia and high-tech SGDs. Most weeks, he can be found attending local aphasia communication groups, support groups, and the movies with his good friend, Vahan, who also has aphasia.